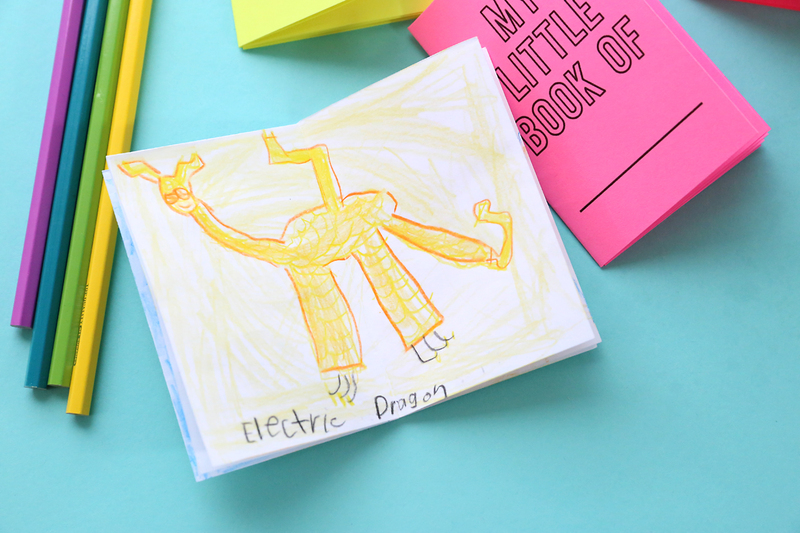 In today’s post: Learn how to make an 8-page mini foldable book from one sheet of paper! 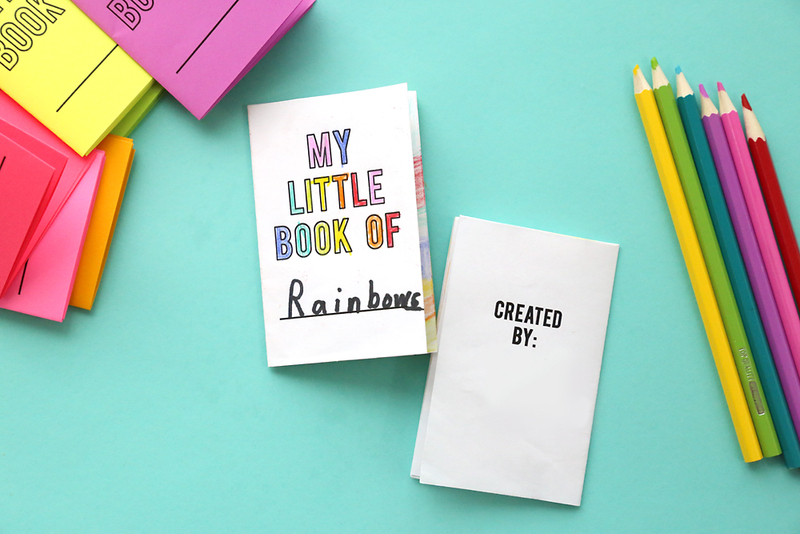 Free printable template so your kids can design their own books. Easy foldables idea. I am ALWAYS on the lookout for easy art projects my kids can do. And by easy, I mean projects that don’t involve glitter, glue, or anything else that will make me rue the day I allowed my children to use them. At the same time, I want something that’s fun enough to capture my kids’ imagination and hopefully keep them busy for a while. 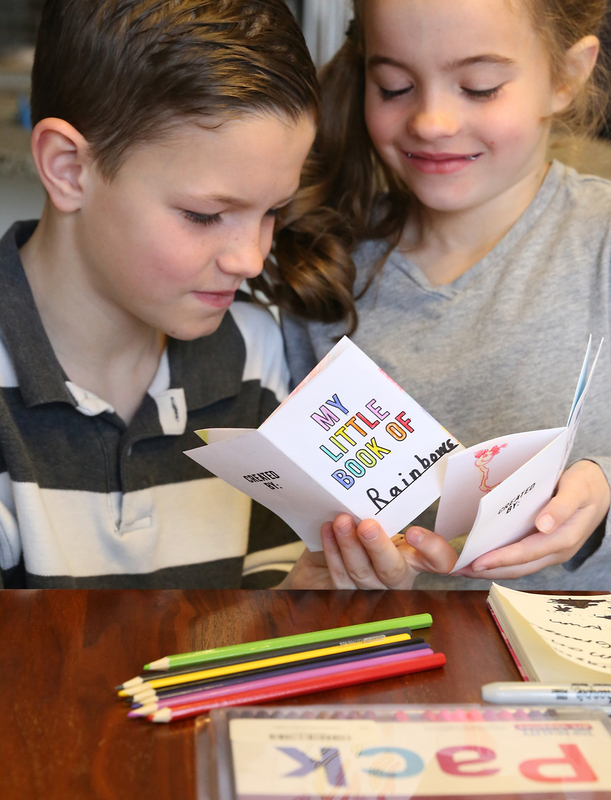 These mini foldable books are the perfect kid project! 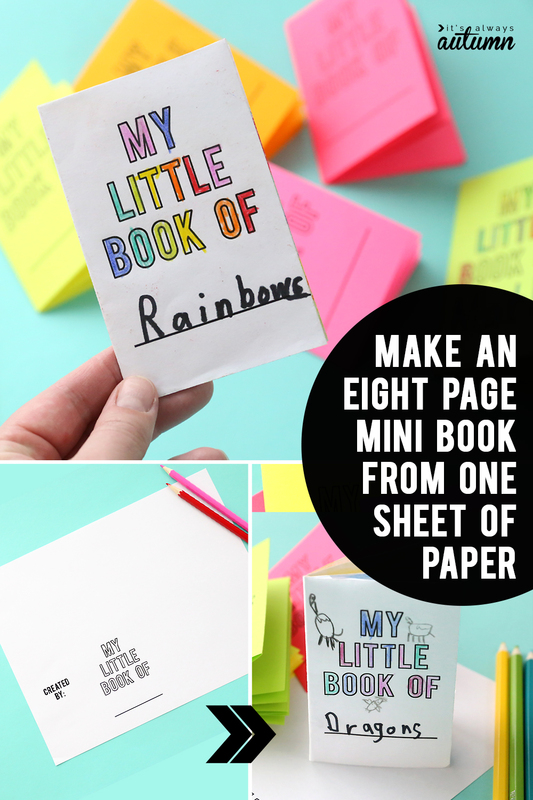 With a couple of folds you can turn one sheet of paper into an 8-page book complete with a title page on the front and an author page on the back. …they could write and illustrate themselves! It was pretty fun to see them both hard at work on their books. 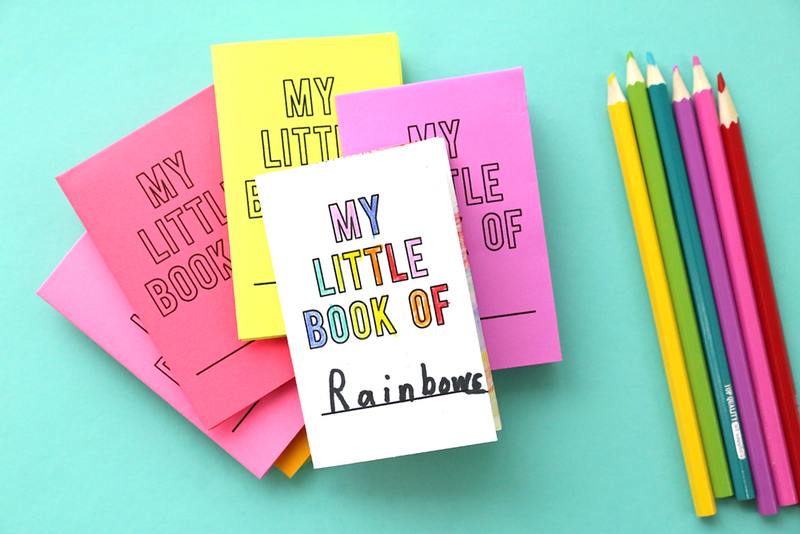 I made a few extra mini foldable books and tossed them in the bag I take to church, along with some colored pencils. My kids sat coloring quietly while (hopefully) listening to the speakers – it was great! My kids learned how to make these books at school; they’re called “foldables”. 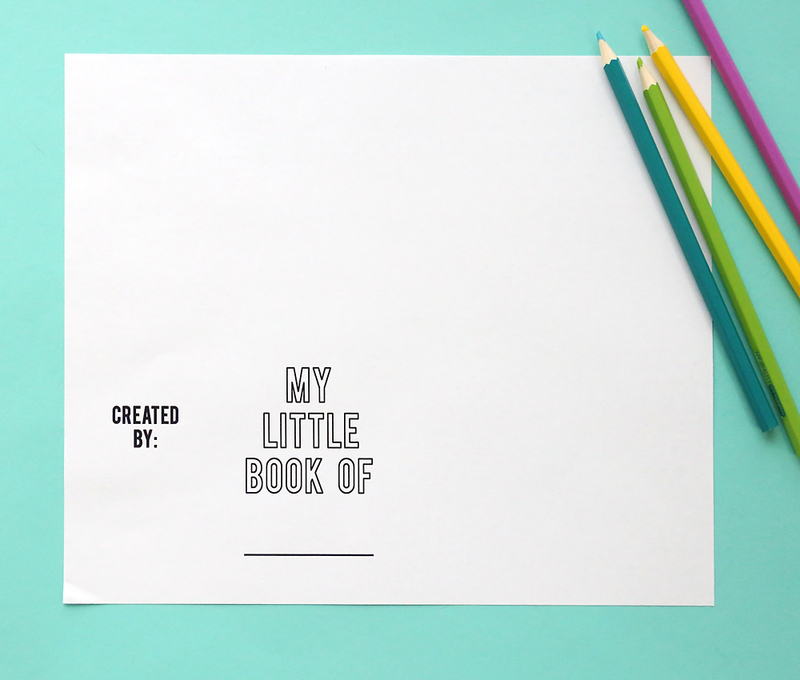 To give the book a title page on the front cover and an author page on the back cover, I created a printable template. Download the template by clicking here. Print out your template at full size or 100% on plain 8.5×11 printer paper. You can use white or colored paper, just don’t use cardstock or it will be too thick to fold nicely. Foldables are pretty fun! If you want to learn how to make different types of foldables, check out this link. « 33 delicious meal prep recipes for healthy lunches that taste great! This is so super cool! I can’t wait to do this for trips we take. And when we go to “see” historical things that might bore my kids. This is so awesome. Thanks so much for sharing! Do you have a Christmas Template? This is the coolest! I plan to make a bunch of these for my childcare kids and share this post on FB. Thank you so much for sharing this! Where can I download this? I can’t find your link anywhere.